Raga Pantuvarali is the 51st Mela belonging to the 9th Chakra – The Brahma Chakra. It was designated as Kamavardhini earlier and the name first appeared in Sangraha Choodamani of Govindacharya. Muthuswamy Dikshitar addressed it as Kashiramakriya. In Sanskrit works, Pantuvarali is referred to as Ramakriya. Ramamatya in his Swaramelakalanidhi(1550) mentions Raga Deepakam as a janya of Ramakriya. Tyagaraja immortalised Deepakam with his krithi Kalala Nerchina. The Hindustani counter part of Pantuvarali is Poorvi. The idea of Pantuvarali came like this. The Musicians conceived of a scale, which in addition to Shadja and Panchama(the two highly concordant notes), took notes which were a semitone above and below these two notes. This with Antara Gandharam gave Pantuvarali. This raga is the Prathi Madhyama counter part of the 15th mela Mayamalavagowla. Technically speaking, Mayamalavagowlai has Suddha Madhyama or M1 and if this Suddha Madhyamam is replaced with Prathi Madhyama or M2, the raga changes to Pantuvarali. The raga has the name Sadari Pann in ancient Tamil Music. It may be noted here that when Lord Siva came in the guise of a wood cutter to save the reputation of the musician Banabhadra, HE sang the Sadari Pann. It can be also noted that when Saint Tyagaraja visited Kovur, he sang the opening song in praise of the deity Lord Sundareswara “Sambho Mahadeva”, in Raga Pantuvarali or Sadari Pann. In Mind, Body and Soul Chakra – Chakra 9 is the Brow or Third Eye Chakra or the Ajna Chakra. – the area through which the psychic energy enters our bodies. If meditated upon, the energy of this chakra allows us to experience clarity of mind, spiritual contemplation and self reflection . Ajna Chakra,the seat of intellect / wisdom and conscience allows us to expand the spiritual awareness and “in”sight. Therapeutically, it is said Pantuvarali works on the whole human system and provides relief from cold and headache and keeps the mind stable. The raga casts a very soothing influence on the mind putting him/her in a trance and perhaps urges the listener to maintain the inner poise. No wonder, Raga Pantuvarali bestows an instant meditative and contemplative mood. Pantuvarali also depicts a mood of melancholy and sadness in slower phrases and can also portray the bhava of intense devotion or bhakthi. The bhava rich raga sounds the best in its slower , river like meandering phrases or it can be analogous to a blooming flower while the raga unfolds in slower phrases. Pantuvarali is a sarvakalika raga or all time raga. The raga has a very important place in Geyanatakams and Nrityanatakams. Pantuvarali is a major raga that offers ample scope for alapanai and Pallavi exposition. Coming to the aesthetics of singing Pantuvarali, the raga is traversed in all the three octaves up to Tarasthayi Madhyamam and also up to Tara Panchamam (in rare instances)in many krithis we have learned. For instance, in the Pantuvarali Ata Tala Varnam of Veena Kuppaiyyer “Cheliyapai daya” Tara Panchamam do not find a place. But the Raga shines the best in the Madhya Sthayi rather than Tara Sthayi. Dhattu(skipping notes), janta swaras and Pratyahata Gamakas lend beauty to the raga. The Raga is suitable for singing in the mid afternoons, htoug hit is a sarvakalika raga. Raga has innumerable janya ragas and some minor janya ragas like Kumudakriya, Mandari,Deepakam,Hamsanarayani etc. The sloka for Pantuvarali raga found in Sangeetha Sampradaya Pradarshini by Subbarama Dikshitar is as follows. The Arohana – Avarohanam of Pantuvarali as practiced now is as follows. The notes taken Shadja, Chatusruti Rishabha, Antara Gandhara, Prati Madhyama, Panchamam, Suddha Dhaivata and Kakali Nishada. Jiva swaras: G , D, M and P (As per Subbarama Diskshitar in Sangeetha Sampradaya Pradarshini ) provides great ranjakatvam. Nyasa swaras: S,R,G,M,P,N of which R G and M are hrswa (short) nyasa swaras. Prayogas/Sancharas: gdpmgr..s,rg rsn srg../gnd,dpmg /ddm,,/ gmp,,/pmgmr-gmpdpdn.. dpm-pdnSRS…SRGMPMGRS..d,ndpmgrs..
Visesha Sancharas – sgrg,p,dp/ gpdS,,/dpgnd p,g,/RS,dp,g – pgrs /g, ndpm,,grs /ddm ,, gmp,,/ gpd..gRSndpmgrs/. Frequently used visesha sancharas are “pdm” and “srn”. The signature phrases that has come down to us through several compositions, the Nyasa swaras and the Graha swaras determines the character of each raga and brings out the Raga Swaroopa. Just a mere permutation combination of swaras found in the arohana and avarohana will not reveal the Raga Swaroopa. Both these ragas have the same notes in Poorvanga which is S R1 G3 M1. The change occurs in the Uttharanga part where it is P D 1 N3 S in Pantuvarali and P D2 P S in Poorvikalyani. Note the change in Dhaivatha Swara. It is Suddha Dhaivatham for Panthuvarali and Chathusruthi Dhaivatham in Poorvikalyani.Panchama varja phrases like GMDS figures in Poorvikalyani. Read here more about Poorvikalyani. Quoting once again the Pantuvarali Ata Tala Varnam of Veena Kuppaiyyer “Cheliyapai daya”, it can be seen that only P and S are used as the Nyasa swaras or resting notes. Pantuvarali establishes the raga swaroopa, if it is started at Panchama or beyond Panchama, where as Poorvikalyani reveals the identity, if the raga starts in Gandharam or Adhara Shadjam. If we analyse krithis in Poorvikalyani, we can see that most vaggeyakaras have followed this doctrine. Utmost care should be taken when dhaivatham note is rendered in both these ragas as there are fair chances to lead (or mislead) from Pantuvarali to Poorvikalyani or vice versa if the frequency of Dhaivatham is changed. Not going into the details of differentiating the earlier version of Pantuvarali, Kamavardhini, Varali and Shubha Pantuvarali as there are several related info in the web. Some musicologists say that Pantuvarali is a janya of Kamavardhini.May be there are subtle differences in prayogas or sancharas. To avoid further confusion, what I infer, based on my study is, both Panthuvarali and Kamavardhini have the same swaroopa with different names as practiced today !. Some songs come under the tag of Kamavardhini and some other songs under Pantuvarali. Varali and Shubha Panthuvarali have different versions of Gandharam when compared to Pantuvarali which has Anthara Gandharam as per today’s scale. Tyagaraja Krithis are manly in praise of Lord Rama. But he has also composed a few krithis portraying polite submission and respect to Lord Shiva. Shambo Mahadeva in Sanskrit is my personal favorite among these krithis in praise of Lord Shiva. The theme of Sambho Mahadeva is simple obeisance to Lord. The Krithi starts in Tara Shadjam. Apparama bhakthi(begins in Panchamam), Shiva Shiva Shiva ena (begins in Tara Shadjam) and many more krithis needs mention. In the krithi ‘anduNDaknE vEga’, Tyagaraja depicts how Prahlada pleads with Lord to be near him always. This krithi is part of the dance-drama ‘Prahlada Bhakta Vijayam’. The pleading emotion of Pantuvarali is fully depicted in this krithi by the Saint composer. Probably the composer has chosen this raga deliberately to do justice to the sahityam he has penned. The krithi Naradamuni composed by Tyagaraja, commences at Tara Shadjam and lingers in this Swara throughout the song bringing out the pristine beauty of the Raga. Tyagaraja has composed around 13 krithis in this raga and each one is uniquely and aesthetically refreshing and enduring the mind and heart of rasikas !! Muthuswami Dikshitar’s Ramanatham Bhajeham, Visalaksheem Visweseem and Sundararajam Bhajeham are monumental krithis that showcases the aesthetics of the raga and the lyrical brilliance of the composer. Maharaja Swathi Tirunal’s immortal composition Sarasaaksha Paripalaya popularised by MS Amma and Chembai Vaidyanatha Bhagavathar is another favorite krithi to me. The royal musician also composed Saroruhasana jaaye, the Navarathri Krithi in Pantuvarali raga. Ponnar Meniyane, Tevaram composed by Sundaramurthy Nayanar is very soulful. Sivananda Kamavardhini, a Sanskrit composition that highlights the raga name Kamavardhini was composed by the musical genius G.N. Balasubramaniyam. 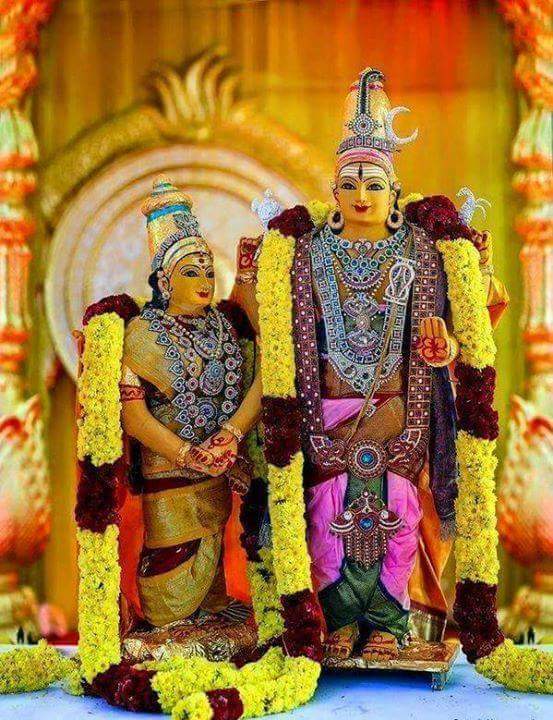 Amba Manam Kaninthu by Papanasam Sivan is another soulful krithi praising the Supreme Goddess. This song was immortalised by M.K Tyagaraja Bhagavathar in the movie Sivakavi (Do not miss to listen and view this song in youtube!! ). One can keep on adding to the list as the personal favourites. The essence of the raga can be found in each of these krithis ! These krithis are a storehouse of information about the raga as to what are the signature phrases, which are the nyasa swaras, which are the graha swaras, which swara is just a passing note etc. !! The Krithi Apparama Bhakthi establishes the raga swaroopa in the very first phrase “Apparama” as P,PM GR;;S,. The Pallavi begins in Panchamam and the Anupallavi “Tripatalanu” in Tara Shadjam as S,SS NSRSN…Panchamam and Shadjam are highly concordant notes. The Charanam begins in another important note, the Gandharam which is a Graha Swara, Nyasa Swaram and also Jeeva Swara of the Raga ! This particular point in Charanam beginning in Gandhara offers endless scope for neraval and swara kalpana for musicians. The song has 3 charanas and every charana ends in the( peaceful )vishranthi note Dhaivatham which very softly glides to Madhyama (Tail note) showing Samvadi relationship of Madhyama(also a hrswa nyasa swara) and Dhaivatha. In practice, we sing only the Charana which bears the Vaggeya mudra “Tyagaraja”. The krithi mentions the exalted position of Lord Rama. Another Krithi, Shobhane-the Utsava Sampradaya Krithi, composed by Tyagaraja, gives a different perspective of the raga. In this krithi, Dhaivatham has a prominent role and draws our attention to the accentuated gamakas.The beauty of the phrase MDM, is brought out through swaraksharas in the first and second charanas in MADAMAANAVA (First Charana) and MADAHARANA-Second Charana.The krithi is composed fully in madhya sthayi and the range is from Shadja to Dhaivatha and just a single instance of Nishadam as a passing note can be seen. This makes it more comfortable in group / congregational singing. It is a very simple krithi to learn and proves that Pantuvarali shines best in madhya sthayi. So much to learn when we analyse a krithi.! If we analyse the remaining 12 more krithis from the same composer, and also several other krithis of Dikshitar and other composers, we get a fair knowledge of Pantuvarali and its pidis-s or sancharas. Out of the several compositions in this raga, the krithis that begin in Tara Shadjam brings an immediate feel of bliss, as the voice becomes light, ringing and soft while traversing in higher octave. That’s why when we sing in higher octave, the harmonics are really high. If the musician can blend with the sruthi while sustaining on the note Tara Shadjam, he passes on his divine and blissful state of trance to the listener too. Lakshman Ragde estimates that at least compositions (including various musical forms) are set to the raga Panthuvarali. Sri.Lakshman Ragde has estimated 691 krithis in this raga . Illayaraja has composed several film songs in this raga. The songs Om Shiva Om -Naan KadavuL,Rojavai Thaalattum Thendral- Ninaivellam Nithya, Vazhimel Vizhiyaal-Archanai PookkaL etc , are just a few pristine panthuvarali composed by Illayaraja. Hay Rama and Machiniye composed by ARR are based on Panthuvarali. Meaning : shambhO ! mahAdEva ! shankara ! Beloved by girija ! Meaning : O Lord Sambho! O Lord Mahadeva! O Protector of those who have sought refuge in You! O Lotus Eyed! Deign to bestow on me devotion to Your Lotus Feet. Meaning : O Most compassionate Lord! O Lord who holds deer in His hand! O Lord hara! O Lord who wears Ganga in His matted locks! O Lord who wears Sesha – supporter of Earth – as an ornament in his neck! O sacred Lord who has entered the heart of Tyagaraja! O Lord whose sacred Feet are illuminated by the brilliance of gems of the diadems of the multitude of the celestials (at the time of their bowing their heads at your feet)! O Lord Sundaresa resident of Kovur! O Lord of mountain Kailasa! O Lord who is beyond everything! O Lord who rescues the devotees from the Ocean of Worldly Existence! I conclude this review with the words that Pantuvarali is the essence of sublime melody and takes you in a meditative trance. It brings in deeper happiness and contentment and being associated with Ajna Chakra, the Raga increase focus, clarity and productivity. Listening to this raga, concentrating on the Ajna Chakra, aids in spiritual healing,helps to tap your hidden potential, brings in great deal of mental strength and evenness of mind. You experience a better state of mental poise, and irritability and ego just disappears. The power of endurance and patience develop. We forgive ourselves and also others. When all the above said affirmatives are experienced, what else we need to make our life heavenly while we walk in this planet ! Let’s RAISE OURSELVES TO THIS LEVEL !! It is such a blissful experience listening to Pantuvarali.!! This is one of my favorite ragas. Thanks.Valga Valamudan. Awesome explanation mam. Thank you. Respected Anuradha teacher, how can you mention Deepakam without GNB ? Since this was a write up of Pantuvarali, I did not focus on who had sung Deepakam illustriously. Just wanted to mention that Deepakam is a janya of Pantuvarali. Yes. They are same ragas. your explanation is incredible. I think Maha Prana roopam by sankara Mahadevan from Sri Manjunatha is also this raga. Am I right.